Every year, all year round, the Swiss watch industry proves to be the gift that just keeps on giving. From the most exciting releasesto breaking commercial news, the amount of content coming out of Switzerland is stupefying; and equally hard to keep abreast of. Consequently, when OMEGA announced the relaunch of the tentpole collection that is their Seamaster line (earlier this March) many journalists greeted it with a kind of benign indifference. After all, to mark the 25th anniversary of the eponymous Seamaster Diver 300M, the Bienne manufacture was releasing a 14-piece collection which included 6 classically-minded steel models and another 8 in mixed metal. You’d be forgiven for initially thinking that this all sounded like standard marketing fodder (i.e. the new collection is “bigger, badder and [gasp] comes in more colours”). The truth is that OMEGA have actually implemented some pretty significant new changes across the entire Seamaster range. So today, let’s spend a little time with the latest iteration of this iconic divewatch; and in the process gently remind you why — thanks in no small part to a certain martini-sipping secret agent — the Seamaster is among contemporary watchmaking’s most recognisable faces. What exactly is new to the Seamaster collection in 2018? Aside from being available in the aforementioned 14-piece lineup, OMEGA’s new Seamasters boast numerous updates on the technical and aesthetic fronts. Under the hood, the new divers are outfitted with OMEGA’s in-house calibre 8800: an automatic movement that boasts a 55-hour power reserve, coaxial escapement and the manufacture’s coveted Master Chronometer certification (we previously covered the gruelling process that OMEGA timepieces undergo to become METAS-certified here). Going forward, the fact that the new Seamasters will be equipped with the calibre 8800 has promising implications. Historically, the technology used to power these watches has come from sourced movements — most commonly the ETA 2892-A2 — so the choice to completely overhaul this practice (by adopting the calibre 8800) establishes just how serious OMEGA are about future proofing their products. 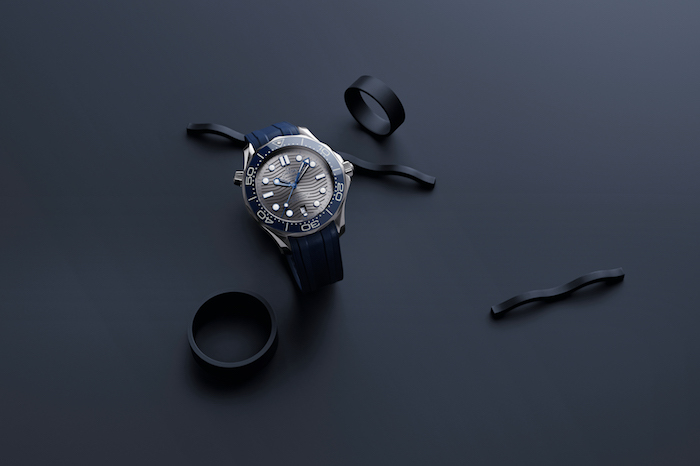 The new Seamaster Diver 300M comes equipped with a redesigned helium escape valve. Among other things, the patented redesign now ensures that if the valve is accidentally opened underwater, that the watch stills remain water-resistant up to 5 bar. Having said that, the manufacture has clearly taken care to ensure the new diver’s aesthetic profile is in line with its cutting-edge movement: case diameters have now been upsized to 42mm; and each Seamaster Diver 300M is available in black, blue or brushed chrome dial treatments. On the wrist, most consumers are going to be struck by the sheer modernity of these watches, although OMEGA historians will be kept intrigued by the inclusion of two notable design elements which are new(ish) to the collection. A quick glance at the dial reveals OMEGA have departed from their usual practice of locating the Seamaster’s date window at 3 o’clock; with the new 6 o’clock positioning recalling aesthetic codes favoured by OMEGA throughout the 1960s. More overtly still, the manufacture has reintroduced the wave pattern that was a recurring feature on Seamaster dials from the mid-2000s. The nautical motif is more visible than ever, with each laser-engraved line wider and starker than in previous iterations (e.g. the Ref. 2254.50); whatever your personal preferences may be, it’s clear that OMEGA intended for this to be a big part of the new Seamaster identity. 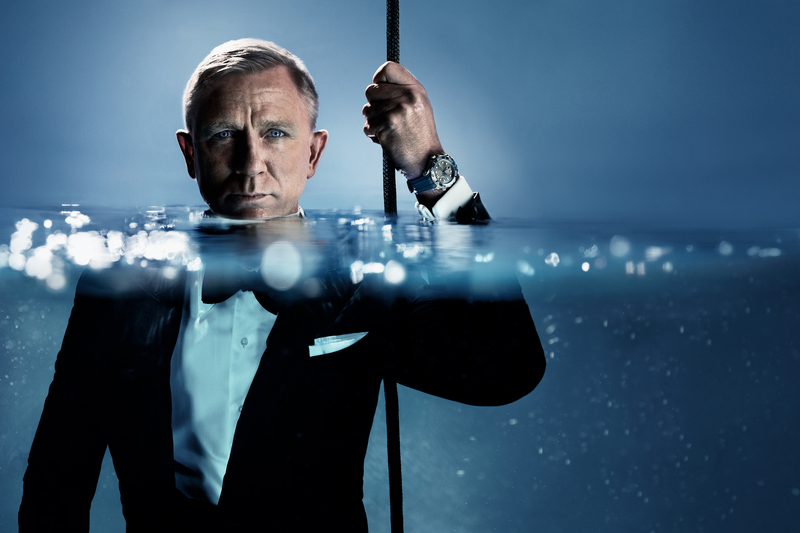 Even putting aside the new visual and mechanical improvements that have been made, the Seamaster Diver remains at the centre of the pop culture firmament, thanks to Omega’s partnership with James Bond. 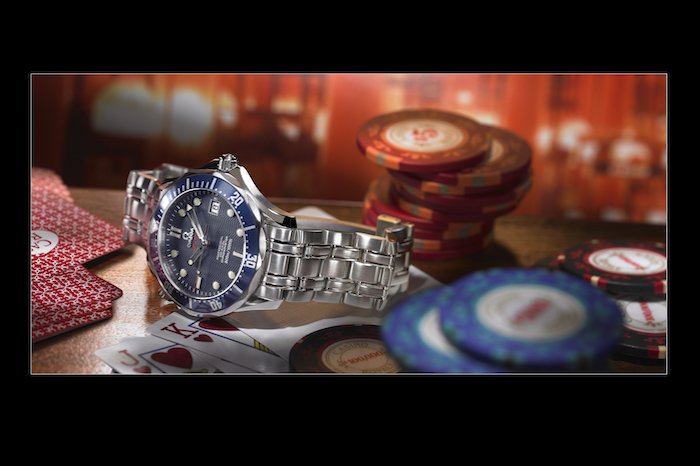 Since Goldeneye (1995), Seamasters have adorned the wrist of each actor entrusted with the role of 007; and in doing so become synonymous with the character’s cool and in-command demeanour. Indeed, as a direct result of their (highly strategic) association with Ian Fleming’s gentleman spy, OMEGA have been able to raise the Seamaster Diver to household status — in roughly a quarter of the time it’s taken their competitors. 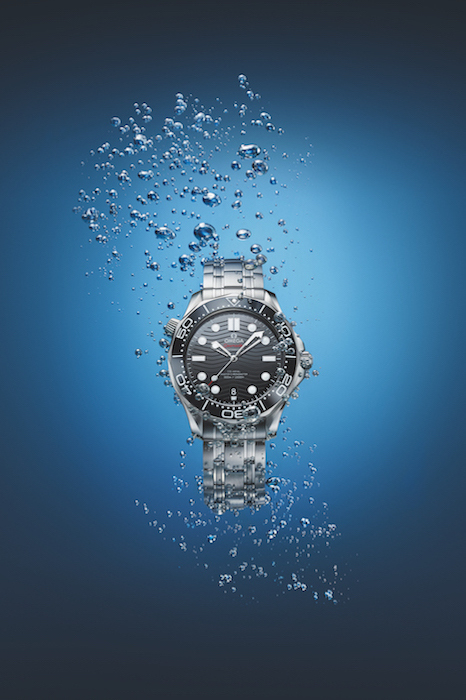 In many ways, OMEGA’s most beloved diver is the perfect accessory for would-be oo Agents. The all-important unidirectional bezel — whether being used to unlock an “explosive” hidden feature or (more realistically) to time your post-dive ascent — returns, and its new ceramic construction (marked using enamel/Ceragold™️) gives it better functionality than ever. The sportif 42mm profile, intermingled with classic design codes, lends the watch nearly unrivalled flexibility when transitioning through different environments — so whether you’re infiltrating a certain ailurophile’s underground lair or being seated at the roulette table, you never look out of place. The cherry on top? 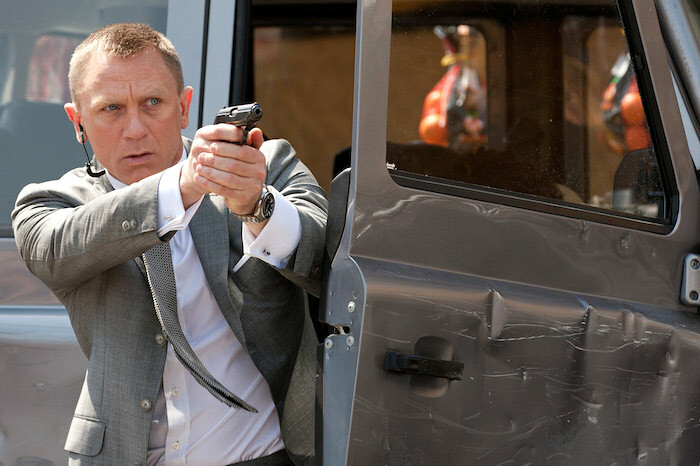 You’ll be in legendary company, as British actor Daniel Craig graces silver screens everywhere in 2020 for the fifth (and final) time as Commander Bond, equipped with his trusty OMEGA. The question is, will you be? The new Seamaster Diver 300M collection is now available in stainless steel or mixed configurations which include 18K yellow or Sedna™️ gold. Prices range between HK$39,000-$79,700. To view the full catalogue, visit OMEGA online.